Choose your design, choose your view. EdgeGLIDE is the sleek sliding door which combines top quality and colour-matched hardware with elegant design. The look of your door can match the look of the outdoors with ease. Our inline sliding doors are a conventional style of door with a number of configuration options and exceptional functionality. With a flexible and versatile design, the EdgeGLIDE door is available with colour-matched hardware to blend seamlessly with existing décor and to maintain a consistent aesthetic. The EdgeGLIDE features a versatile system with thermal bridge, ensuring enhanced thermal efficiency and energy conservation. With an intelligent design that keeps moisture out and heat in, these sliding doors are practical as well as stunning in design. The EdgeGLIDE door is a superb choice for projects that need a sliding door solution that is unique and customisable to your requirements and needs. With a range of finishes and options, these large glass doors can enhance the look of a room or space. With large glazing panels with minimal frame, our inline sliding doors create a vibrant and inviting atmosphere for any residential or commercial project. These high quality doors feature a smooth and sleek gliding functionality to open and close them. You can view the virtual reality tour of our Watford showroom to take a look at the products and profiles we have available for you to see. You can visit our showroom in person by getting in touch to schedule an appointment. Take a look at our EdgeGLIDE video where you can see the product in use. 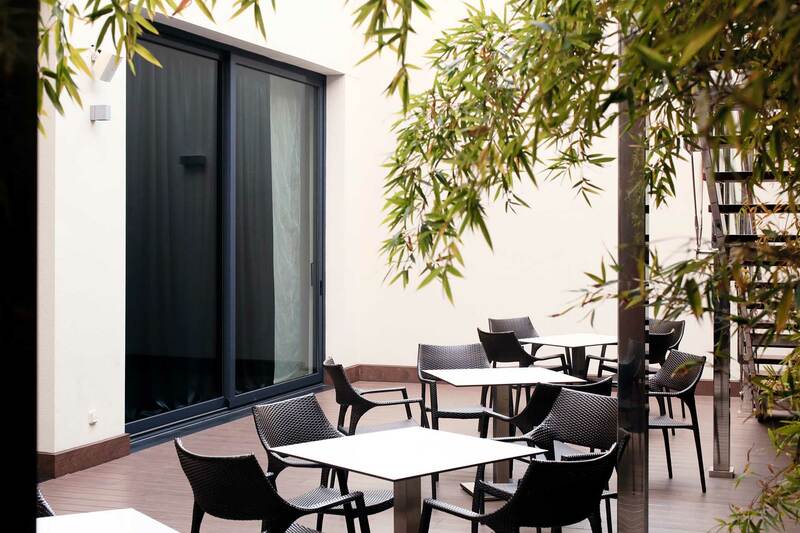 This remarkably fabricated aluminium sliding door will transform any property. With a sleek and smooth operation, you can see how the panels easily glide on the tracks for ease of use and operation. With safety features inbuilt as standard. Why Invest in the EdgeGLIDE door for your project? 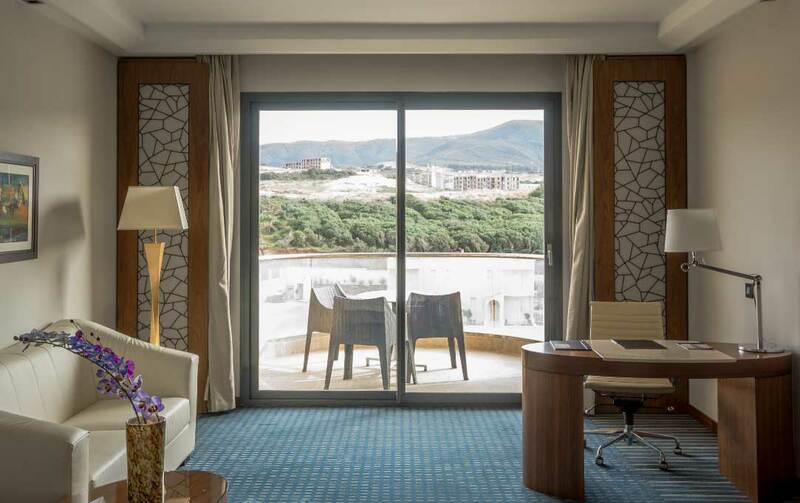 If you are looking for a solution that brings natural sunlight and opens up a room to add a feeling of spaciousness and vibrance, the EdgeGLIDE inline sliding door has the functionality and aesthetic you require. Our high quality sliding doors are tailor made to the residential or commercial project you are working on and designed expertly. The EdgeGLIDE patio door makes a seamless cohesion between the outdoors and indoors possible, with a transparent screen that offers beautiful views and slim sightlines. Popular as an entrance onto an outdoor bar, poolside deck area or outside dining area, the EdgeGLIDE door makes that transition effortless. The EdgeGLIDE door is an attraction in itself, creating a focal point that can be marvelled at no matter the view or weather conditions. 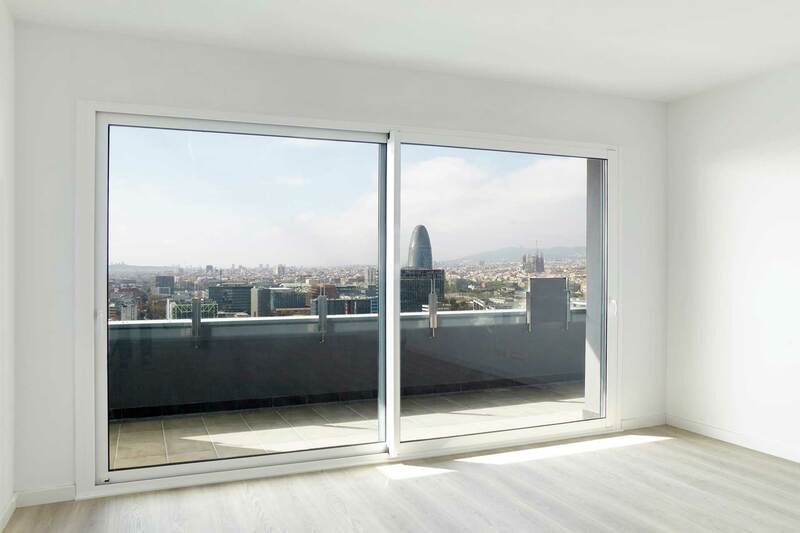 With a slim and minimal aesthetic, our glass sliding doors suit a number of styles of architecture including contemporary and modern, as well as heritage or traditional. Take a look through our EdgeGLIDE sliding doors brochure for technical specifications, sizes and performance information. Adding any glazing systems to a property or building will have certain features and benefits other than looking aesthetically pleasing and the EdgeGLIDE door is no different. With superb thermal efficiency, our systems are intelligently designed to keep warm air inside rather than letting it escape into the atmosphere. This is a valuable advantage as it conserves energy and contributes to a greener environment. Your inline sliding door can act as a transparent wall, blending the exterior of the property with the interior, flooding spaces with natural light and creating a luxe look. This works well in both day and night, with blue skies and starry nights. The EdgeGLIDE door provides a high end feel with premium quality glazing and strong, robust frame. With a professional and sophisticated finish, there isn’t an inline sliding door quite like the EdgeGLIDE. 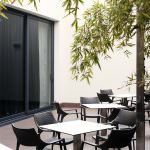 You can contact us today for a free quote for your bespoke sliding glass door needs. Whether you’re looking for the EdgeGLIDE system to be implemented into a residential or commercial project, we can assist. Simply visit our contact page and fill out our online contact form. A member of our expert team will be able to answer any questions you may have. We are happy to recommend or advise on the most suitable products for your needs and requirements. 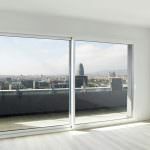 What is the difference between inline sliding doors and other sliding doors? The inline sliding door has a more traditional opening configuration, where the door sits on rollers and to open it you pull the handle to pull the door along the track. Popular in home improvements and extensions, they offer excellent functionality and ease of use. Because the sliding doors operate on their own tracks they don’t take up unnecessary space inside or outside the home unlike other sliding door types such as bi-folds. 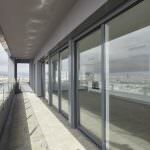 What are some of the advantages of glass sliding doors? The largest advantage that our aluminium sliding doors provide is that you can have them made larger than any other door type. 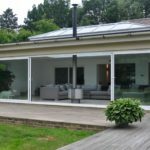 Floor to ceiling sliding doors are achievable as they are not restricted by the hinges or other issues. 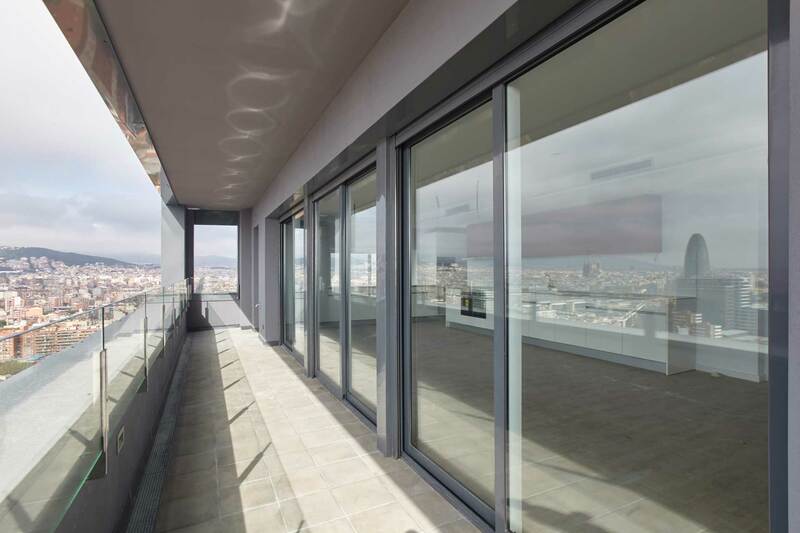 The EdgeGLIDE helps to achieve a highly modern appearance with large expanses of glass. 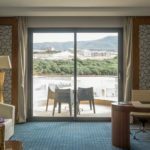 Are inline sliding doors secure? 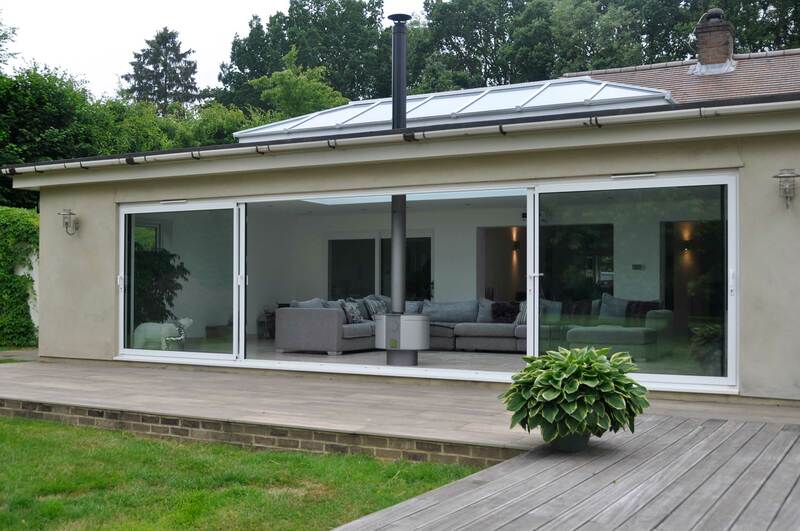 Even with a large glass to frame ratio our inline sliding doors in London are extremely secure, with a range of features inbuilt such as our locking mechanisms and durable, robust glazing. 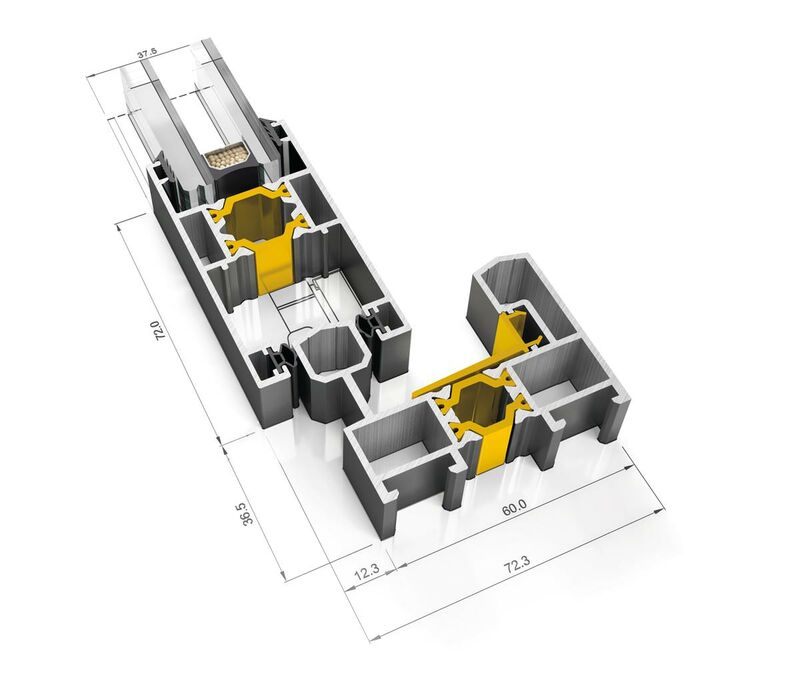 Each door is tested and put through rigorous assessments to make sure the product exceeds our high standards. You can enjoy complete peace of mind when you choose EdgeGLIDE.